Detailed and specific experience of claims involving orthopaedic accidents, delays and misdiagnoses; failure to refer symptoms or diagnose cancers; catastrophic complications in heart bypass operations; failure to identify or treat post operative infections including MRSA; complications before, during and after birth for both mother and baby; complications of cosmetic surgery and adequacy of consent, implant complications and other medical products; delayed or misdiagnosis of meningitis and legionnaires disease; complications of vasectomies, hysterectomies, bladder and bowel functions; and a full range of dental negligence. Solicitors; barristers; legal executives; paralegals in relation to property; construction and commercial transactions; conveyancing; landlord and tenant; easements; boundaries; covenants; failure to draw up wills leaving disappointed legatees and wrong advice and drafting in, finance, mortgages and consumer credit matters. Jeremy also attends to the partnership and director's indemnities and contributions which often precede or follow, together with procedures of interim injunctions and winding up applications where necessary and appropriate. Architects, surveyors ,engineers and valuers in claims for missed defects, inflated valuations and certifications, catastrophic collapses. Claims against IVA Supervisors, Administrators, Receivers and Trustees in Bankruptcy arising from claims for breach of contract or breaches of statutory duty in mishandling funds and assets. Property, construction and commercial disputes involving conveyancing; landlord and tenant; easements; boundaries; covenants; contractual disputes; sale of goods; franchises; commercial agency; partnership and directors' disputes; interim injunctions; winding up applications. Also high value personal injury including catastrophic injury and brain injury; specialist disease work; industrial disease litigation, RSI- WRULD, VWF, asbestosis, mesothelioma and occupational asthma, occupational dermatitis, NIHL and acoustic shock. Jeremy enjoys helping fellow lawyers resolve their problem cases and particularly enjoys conferences with “misunderstood” if not downright difficult clients. Most conferences are now held in solicitors’ offices, or at the client’s home or office. Jeremy understands the discretion required to look after the client, the firm and the sometimes anxious fee earner. Advocacy in the full range of contested costs disputes. Jeremy regularly undertakes training, management and case handling workshops, in civil and commercial litigation and dispute resolution. 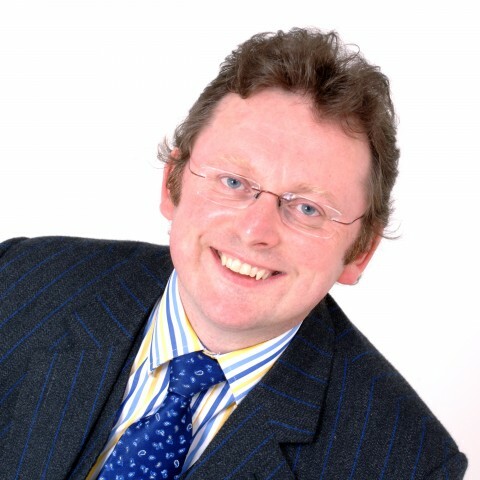 Called to the Bar 1987, Jeremy has 27 years experience of advocacy, drafting and advising in all tribunals from the internal disciplinary to the High Court and Court of Appeal. He has over 9 years experience as an accredited mediator in a wide range of predominantly commercial disputes. Chairman of a Citizens Advice Bureau and Chairman of Preston Faith Forum, the interfaith charity for Preston. I was indeed pleased to have instructed Jeremy Dable in one my most challenging cases. This case, though worrisome for me as the conducting fee earner, was given a glimmer of hope when Jeremy’s proficiency and adeptness surfaced against the fortitude of a tenacious Defendant. Jeremy’s guidance and support gave me confidence that there might be a chance of success. Jeremy undoubtedly took the bull by the horns and brought the case to a triumphant conclusion. I will have no hesitation in recommending Jeremy in future cases. On a side note I must say that I was comforted by the fact that his wit and humour made the overall experience an endurable one. Thank you Jeremy. Jeremy [Dable] was fantastic, and my client loved him. It was a superb result. Although we always expected to win, the result, 100% in our favour was magnificent and in the short time he had the papers, he had been extremely thorough. My senior partner is delighted with the outcome and again would ask that you pass on the firms thanks. Outside of these key areas of law, Jeremy Dable (1987) is always willing to consider any enquiry requiring the experience or knowledge needed to help you or your client. Please call Jeremy direct or the support team on 01823 247 247 if you would like to discuss any aspect of this profile. International tobacco agency dispute with allegations of titanic levels of smuggling and conspiracy. High Court procedural decision on post Jackson reforms, pre-cursor to and fully anticipating Mitchell in the Court of Appeal. Legionnaires’ disease: negotiated 7 settlements, culminating with an award in one case of £300,000, a current UK record. Housing Authority action arising from breach contract of sub-contractors. When scientific literature was lacking, commissioned original research on two aspects of the claim at two separate UK universities. The authority was obliged to settle on the last day of trial for 25 times claimant’s initial offer. PPI litigation. One of the very few counsel who actually conducted trials as well as prosecuting claims to settlement.